Founded in 2002 by British illustrator Quentin Blake (of Roald Dahl fame) and Emma Chichester Clark, the charity didn't open its permanent home in Granary Square until 2014. So this is a fairly new gallery, which is probably why it isn't on people's radar as much as the more established artistic hot spots. 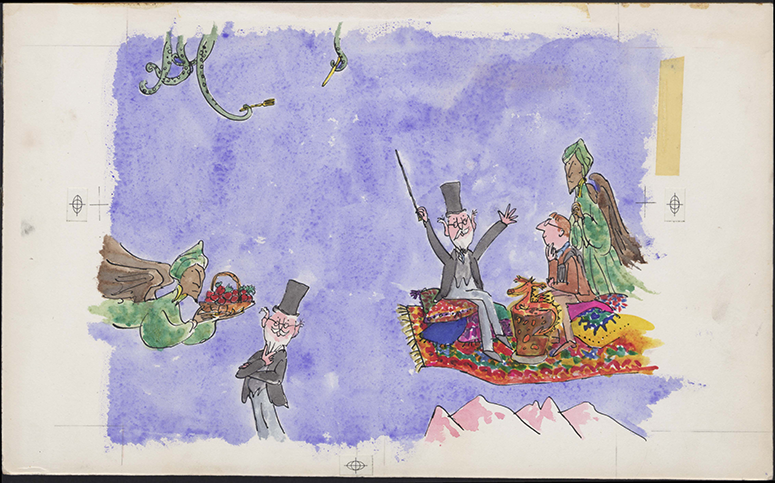 The exhibition that initially sparked my interest in the art gallery is Seven Kinds of Magic, which runs in the new Quentin Blake Gallery until 24 August 2016. The focus in this exhibition is on seven different books the illustrator has drawn images for since the 1960s. The most iconic of these was The Witches by Roald Dahl, but I felt myself mostly drawn to the colourful illustrations from a book I wasn't yet familiar with called Patrick. 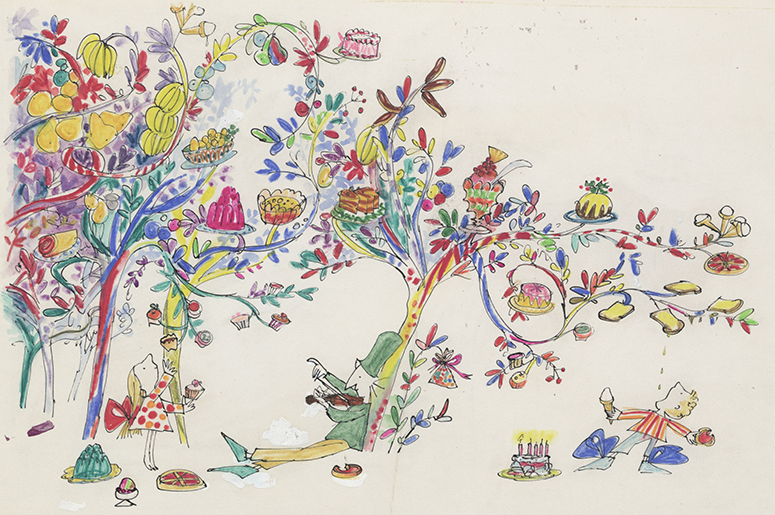 The vibrant colours leap off the pages and I loved that even in these illustrations (pictured below) from decades ago, Quentin Blake's iconic artistic style shines though. This gallery was a small but a good one and the fact that it is curated by Quentin Blake himself made it even more special. And although this particular exhibition is closing soon, there will be a continuous series of exhibitions by the artist in this gallery so you'll be in for a treat regardless of exhibition theme. The biggest exhibit when we visited was A New Childhood: Picture Books from Russia, which is undoubtedly fascinating if this catches your interest, but we moved onto The BFG in Pictures (perfectly timed to coincide with the film's release), which is on until 2 October 2016. Not only does this exhibit contain 40 gorgeous illustrations from The BFG throughout the years (from original artwork created for the first publication in 1981 right down to special commemorative versions), but what I found particularly insightful in this gallery were the interesting facts displayed with each of the illustrations. 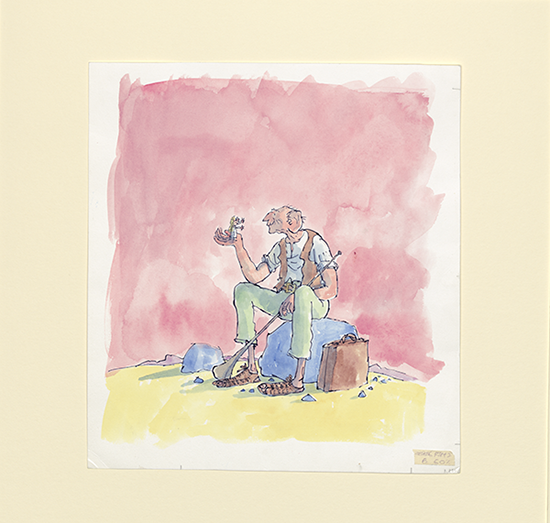 Did you know, for example, that The BFG initially had just a dozen illustrations but when at the printers Roald Dahl complained and Quentin Blake created twenty more chapter headings in just a few days? Or that Quentin Blake shared very clever visuals to The Times in 2002 to help readers draw their own BFG in just a few simple steps? Many more interesting BFG facts and gorgeous illustrations are shared at The BFG in Pictures, so be sure to check it out! The galleries at House of Illustration are smaller than I was expecting and it isn't somewhere you'll spend more than an hour or so enjoying the beautiful drawings on display, but with Matilda the Musical enjoying continued success a few tube stops away and The BFG having just opened in cinemas, this does make a rather perfect pre or post theatre/cinema break. And if you'd like to explore more of Literary London outdoors, why not follow the BFG Dream Jar Trail across the city, which you can enjoy until 31 August (a full blog on that to follow)? 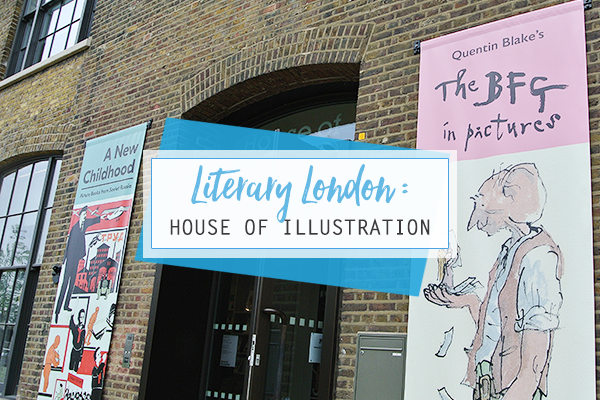 To get you started, there is one on the doorstep of House of Illustration, which displays Quentin Blake's very own dream. House of Illustration is open 10am-6pm Tuesday-Sunday (last admission 5.30pm), and tickets are £4 for children, £7 for adults and £18 for families (up to two adults and three children under 18). Do you have any Literary London favourites you recommend and/or you'd like me to write about?